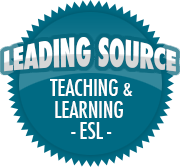 Not all that different from them… | So, You Think You Can Teach ESL? I tend to get irritated with their impatience, arrogance and lack of self-awareness. But today, in a CPM training, I took on the role of a student. And I had an out-of-body experience where I watched myself stop talking to another teacher in my group because he was too slow. I just jumped ahead of him, and was eager to raise my hand to contribute “our team’s” answer to the whole-group discussion.